that there isn’t a mass killer on the loose in his home town. 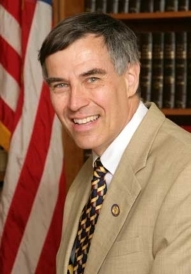 Holt — whose 12th Congressional district of New Jersey includes a postal facility from which some of the anthrax letters were mailed during the 2001 biological terrorism scare — says that the FBI “suffers from a credibility gap” because of the many mistakes made by the bureau during its long investigation into the first serious case of biological terrorism on American soil. “If the technical and scientific procedures [used by the FBI] are as flawed as the non-technical procedures, they certainly deserve a look,” the Frederick, Md., News-Post quoted Holt as saying. That’s what has Holt worried. “I have fundamental concerns about how this was conducted and lingering doubts about the conclusions — and a lot of others do,” Holt told the Washington Post in an interview. “I’d like to be able to assure my constituents in New Jersey that there is no longer a murderer at large, and that we’re prepared to deal with the next bioterrorist attack,” he said. Five people died and at least 21 were sickened during a spate of anthrax letters sent immediately in the wake of the 9/11 terrorist attacks. Beginning September 18, 2001, envelopes containing deadly anthrax spores were sent to a number of high-profile figures, including two leading Democratic Congressmen, Tom Daschle (D-SD) and Patrick Leahy (D-VT). 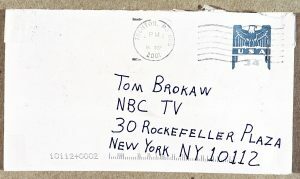 NBC newsman Tom Brokaw also received an anthrax letter. Those three were not among those who became ill, but a reporter from the Sun tabloid died, as did two postal workers and two individuals whose link to the anthrax was never discovered. Due to comments like “Death to America, death to Israel” in the letters, many initially speculated that an Islamist militant group, or the Iraqi government, may have been behind the mailings. But other observers credited the anthrax attacks with creating the necessary environment, in government and the media, for the passage of the USA PATRIOT Act, an omnibus security bill passed in late 2001 that significantly expanded governmental power and was attacked for reducing civil liberties. Some suspicious eyes turned towards government employees. Some of those suspicions were seemingly confirmed in 2002, when New Scientist magazine published an article stating that the anthrax strain in the letters was identical to the military-grade anthrax created in US government labs. The Department of Justice soon fingered Dr. Steven J. Hatfill, a government virologist, as a “person of interest” in the case, but never charged him. In June of last year, the US paid Dr. Hatfill $5.8 million to settle a suit he had brought against the federal government. Prosecutors wasted no time pointing to a new suspect: Bruce Ivins, a microbiologist at the US Army’s biodefense lab at Fort Detrick, Md. Ivins committed suicide last year, allegedly after learning he would be indicted in the case. The scientific panel’s work began one year almost to the day after Ivins’ suicide. Its review is expected to take as long as 18 months.